Here at FotoBella I'm celebrating one of MY favorite foods, and favorite photo of some cute kiddos in a layout I designed with Carta Bella's Are We There Yet Collection from FotoBella.com. 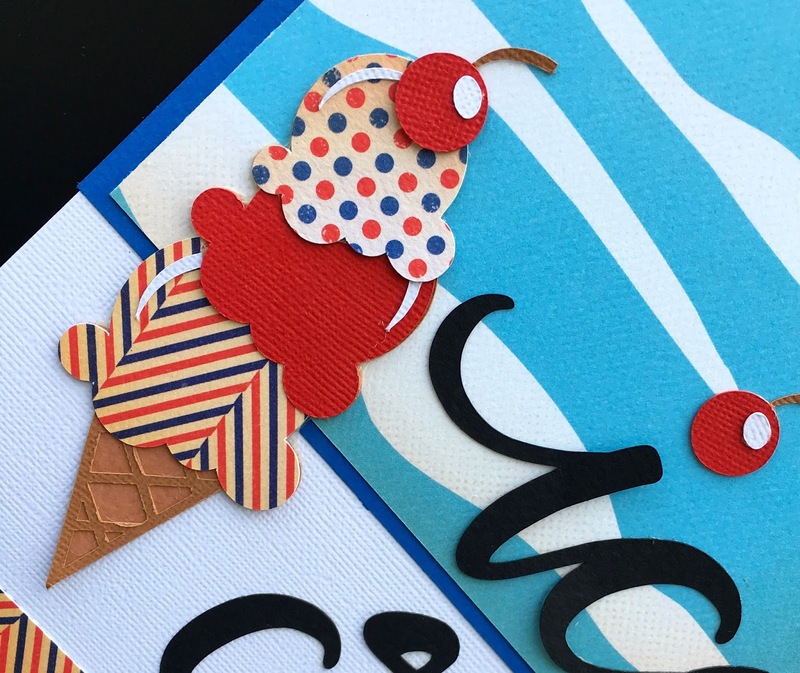 The red, white and blue polka dot and chevron paper can be found in the Are We There Yet Collection. The adorable ice cream cone and cherries are from the Silhouette Store along with the page title "Happiness is eating ice cream". Indulge in a scoop or two of yummy ice cream today! 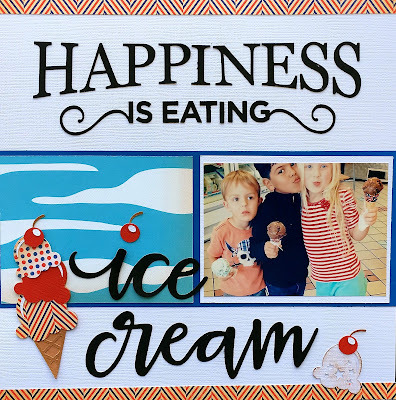 Snap some cute photos and be inspired to create your own ice cream themed layout!